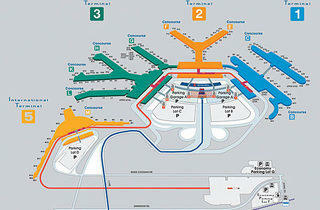 Why is there no Terminal 4 at O'Hare Airport? 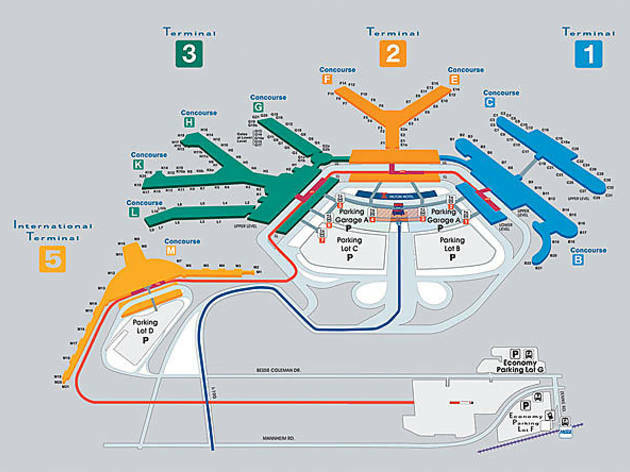 Worldwide icon-chevron-right North America icon-chevron-right United States icon-chevron-right Illinois icon-chevron-right Chicago icon-chevron-right Why is there no Terminal 4 at O'Hare Airport? O'Hare is missing Terminal 4. “Terminal 4 became a temporary location for the international terminal in 1984,” says Gregg Cunningham, spokesman for the Chicago Department of Aviation. “When a new international terminal opened in 1993, officials decided to change the number to 5 to avoid any confusion.” The old Terminal 4, located in the ground level of O’Hare’s parking garage, now serves as the airport’s bus-shuttle depot. The number isn’t retired, though; eventually, Cunningham says, a new building will be christened Terminal 4.